In this post, I’m discussing the SEO tool I'm using for the past 12 months ahead of SEMrush, Ahrefs. I’m pretty sure you will become their customer after reading this Serpstat review, and they offer some impressive features which are missing from major SEO tools. 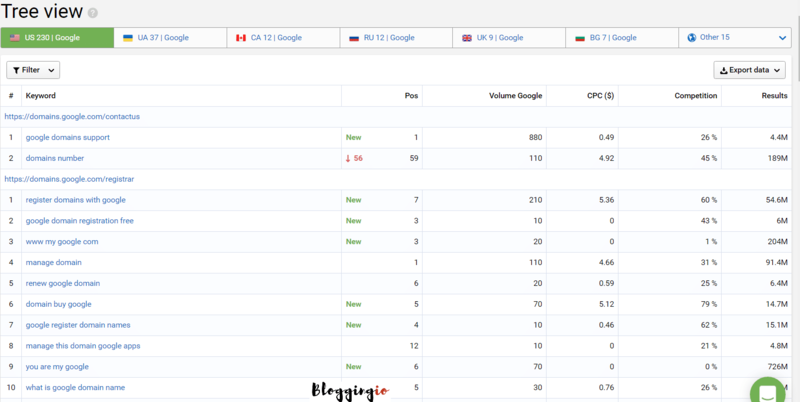 This post might be one of the longest articles at bloggingio, so if you’re in a hurry you can check their features from https://serpstat.com/features and for how to use guides, you can actually consider reading at bloggingio. Right now, Serpstat is our most recommended SEMrush Alternatives you need to consider buying. Serpstat was initially started as keyword research tool back in 2013 for their internal purpose at their company, Netpeak digital marketing agency. But things changed in the past two years, the tool has been used by more than 60000 internet marketers and digital agencies over the world. 15,000 keywords updated every minute. Every SEO tool does the same thing, then why you’re hyping them? The question raised by my fellow blogger sitting next to me, while writing this review. The answer is simple. The growth of this tool is much faster than every other tool in the market. Ahrefs founded back in 2011, SEMRush in 2008, Majestic in 2004 and then Serpstat in 2013. As said earlier, there are some features yet to be introduced by other tools but available with them for the past few months. I will go with a detailed comparison of the features here and also follow the tutorials which help you to use the tool in a productive way. 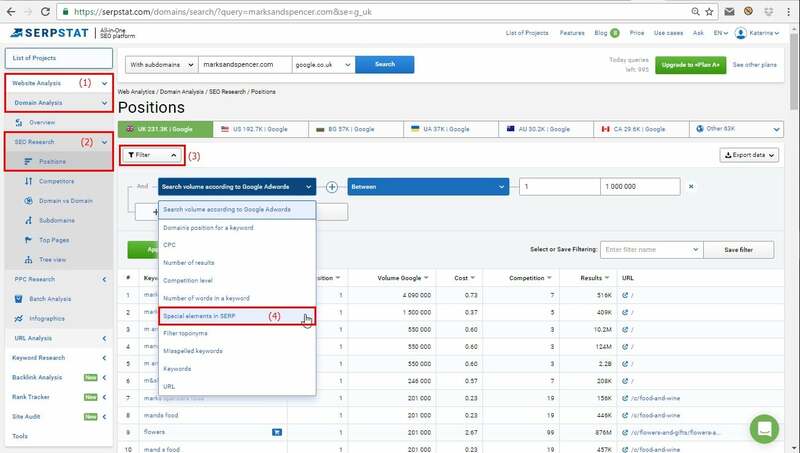 In this Serpstat review 2019, you can find How I use the tool to dominate SERP and below is the how I categorized the tool. Keyword research is the heart of this tool which is getting updated every month right from my purchase six months back. Once you got an account, this is where you should start with. I entered the keyword “iPhone” and let's see what's the tool is bringing out. Here comes the result page. For the keyword, the tool is displaying organic, and ad keywords along with Google trends results followed by top 10 competitors in search results and ads. Now we are going deep into the tool. Now I clicked organic keywords, and a new window opens with detailed reports about the keyword. 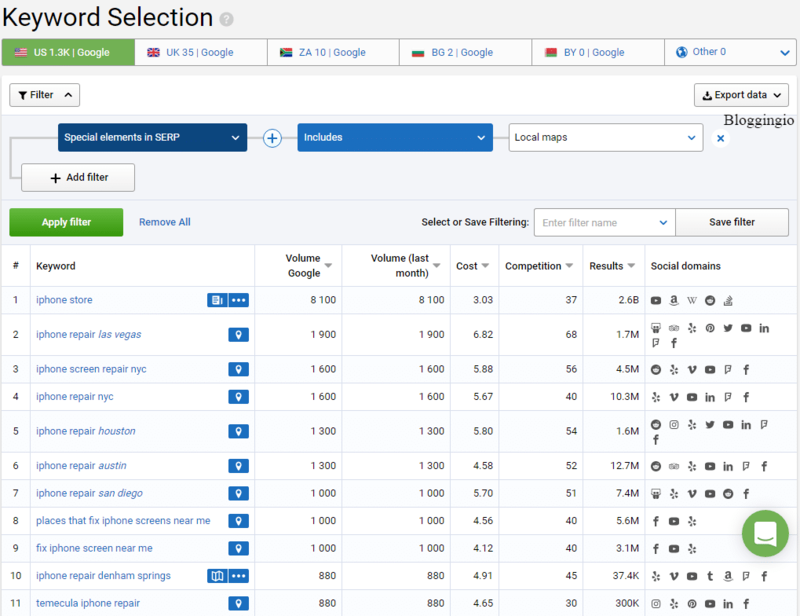 The tool shows search volume for the current and previous month followed by cost per click ( CPC ) and competitiveness of the keyword based on ad words. The tool currently offers database from 15 countries as seen in the picture above. You know why I stopped using Semrush and started using Serpstat, just have a look at the below image, and you decide it. Most SEO tools offer filter option to filter results but this one “Special elements in SERP” is somewhat new to other tools. Suppose you have a US client who wants to rank for local keywords related to “iPhone service or repair” and you can filter out results by selecting “local maps.” and find those keywords and rank for it without doing more reseaches. Though Serpstat results are accurate most of the time, some results may be inaccurate. No one knows when Google updates/refreshes the results and you can see the rich snippet part is not permanent to a single website and each day there is a change in such results. So its SEO'ers we need to understand it, no tool can be 99.9% accurate, but I'm pretty sure Serpstat is ahead of its competitors. You can try as many combinations like showing results for both “knowledge graph and feature snippet” or anything similar to that. This feature was introduced back in July, and I can see it undergone updates every month to display accurate results while few tools like Semrush and Ahrefs started showing those results only in recent times, and still it's in beta. How many of you know “new iohone” is a keyword which gets 590 search volume per month. It's a misspelled word of “new iPhone.” This feature helps you to filter out such keywords which are easy to rank in organic results. Search suggestions options will show questions related searches made on Google. It shows top popular keywords and the best part of search suggestions are long tail queries. 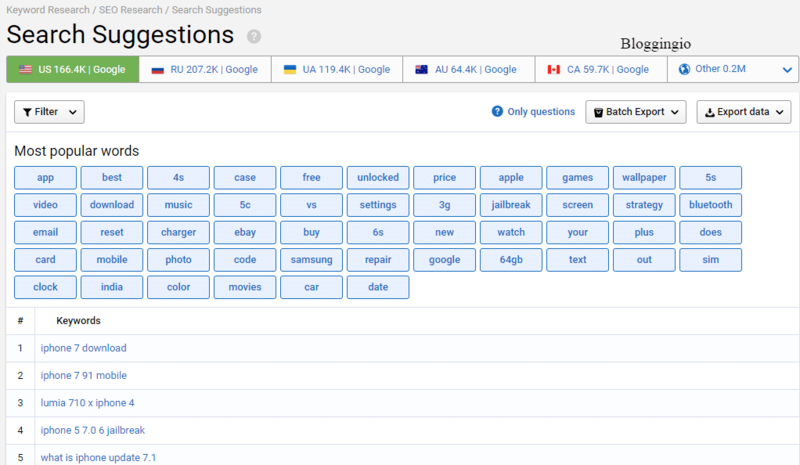 By just adding/updating the old content with this type of search suggestions will boost the organic traffic for sure. When I add a new blog to my list of sites, first I do include this kind of search questions to increase the traffic. The best thing about Top pages: It helps us to find the top articles of a site or keyword or a niche. Basically, I do use this feature to write similar articles and pitch it for guest posts. Next one is competitors who show top websites that rank in top 20 for the entire keywords of a particular search. This Serpstat review 2019 first appeared on bloggingio.com. This Serpstat review talks about the tree view which is a solid option to see all the keywords ranking for each URL. I checked a random URL domains.google.com and check how the tool displays the number of keywords rankings based on URLs. The keyword selection is same as the one for SEO keyword selection. The tool shows the number of keywords and ad details. The ad examples are nothing but the tool shows the ads displayed for various keywords, and it also shows our ad competitors bidding for the same keywords. Here is a series of screenshots from the tool. Click any image and scroll next. Serpstat keeps track of your top 100 competitors and its damn easy to identify the new player in your niche. 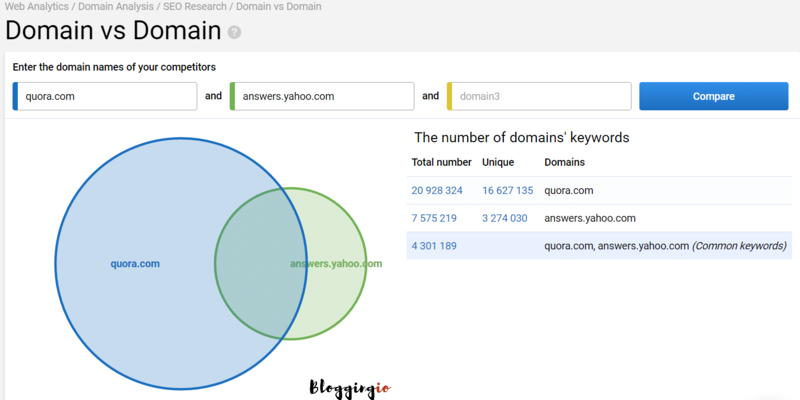 It displays common keywords and missing keywords against your domain. Do you know how Yahoo answers dominated search results and now Quora overtook it? The results show it all. Go with this option, and you can find the common keywords you're ranking along with your competitors. 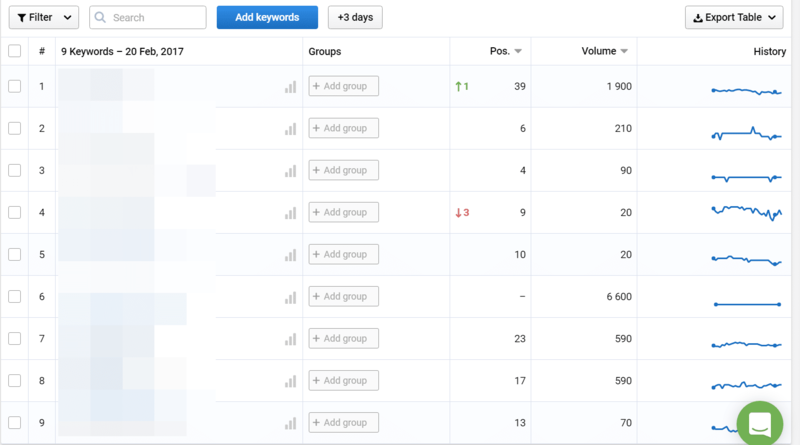 It also displays search volume, CPC, and competition for the keywords. Likewise, you can go for domain vs. domain in PPC search too. Have you ever tried to analysis the entire sites in your niche? Serpstat is here to rescue. Batch analysis helps you to compare your domain with up to 200 domains analyzing traffic, keywords, ad examples and other six parameters on the go. This is a great option to dominate the entire niche. The tool makes it easy to find referring domains of our competitors. You can look for domains that give backlinks either do follow or no follow and implement the same for our sites. The detailed backlinks analysis finds the link type, anchor text, donor, and acceptor flow metrics, i.e., trust rank and page rank. A top page is a great option I use to implement the skyscraper technique. I find the top pages with most backlinks of my competitors and write an updated and more polished content. Then I will do outreach to those backlinked sites and tell about my contents and its an easy process to grab the strong backlinks. Since this Serpstat review 2019 is more focused towards the features and tutorials, I will do a separate post on how to find guest post opportunities with this tool. Rank Tracker, another solid feature which helps you to track every top 100 domains ranking for the keywords, and While I wrote about Serpstat review in Feb 2017, after SerpWoo, they are the one to introduce the feature (tracking 100 domains) back in July 2016. This is how the tool tracks the top 100 positions of any keyword, and you can do such analysis for any period of time even for the JAN 2016, helping you to check the historical ranking of the keywords and the sites. This option helps you to identify the new sites ranking for the keywords. This quick analysis helps you to check for daily ranking updates in the easiest way thus saving your time instead of looking for top 100 domains. Track your keywords even for the city or just enter the pin code, and you're ready to go. Research says that doing site audit increases traffic and the tool helps you to do the same. This is how the site audit report looks like, and yes, site audit tools like Raven Tools costs around $27/month, and you can get those features along with the variety of SEO tools for less than $12 only with Serpstat. The best part of the tool is pricing. The basic package named Plan A costs $19/month, and if you wish to pay yearly, you will get the package for $15.20/month. Furthermore, if you would like to pay for longer term say 36 months, you can get the Serpstat discount for 40% OFF, and the tool costs just $11.40/month. Do you believe you can access a tool for $11.40? and all other features like keyword research, content marketing, search questions etc. When writing this Serpstat review, I thought to compare it with other tools and here the discussions about it. 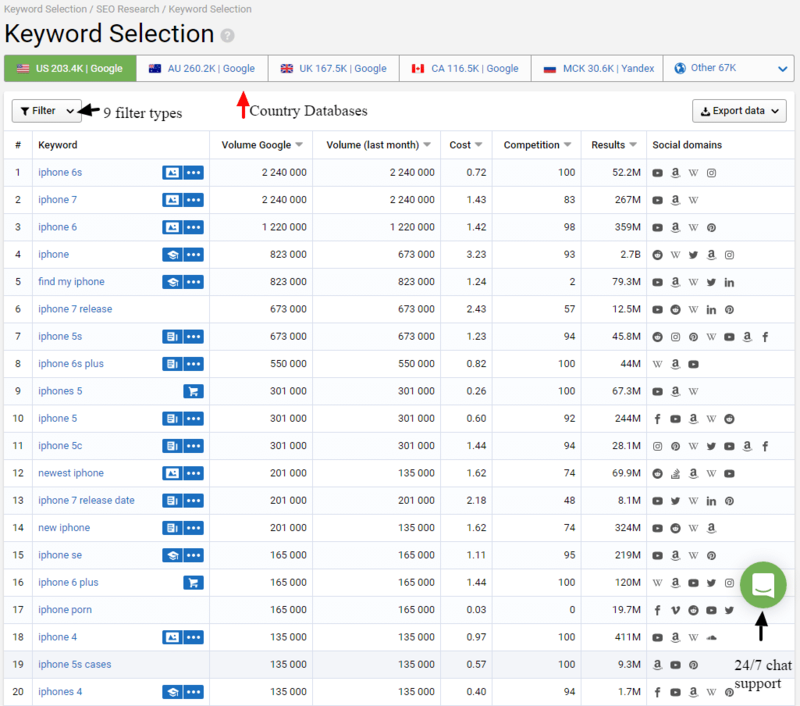 Semrush founded in 2008 and Serpstat in 2013 and this is how the database of keywords looks for both. Ahrefs, undisputed leader towards backlinks analysis, though Serpstat produced more results than Ahrefs for some random checks. I'm using Serpstat for the past six months and I can proudly say, it replaced Semrush and Ahrefs from my must-have SEO tools. The best thing about the tool is it gets updated every month, new features, feedback based changes to UI, increasing keyword database, more accurate reports etc. 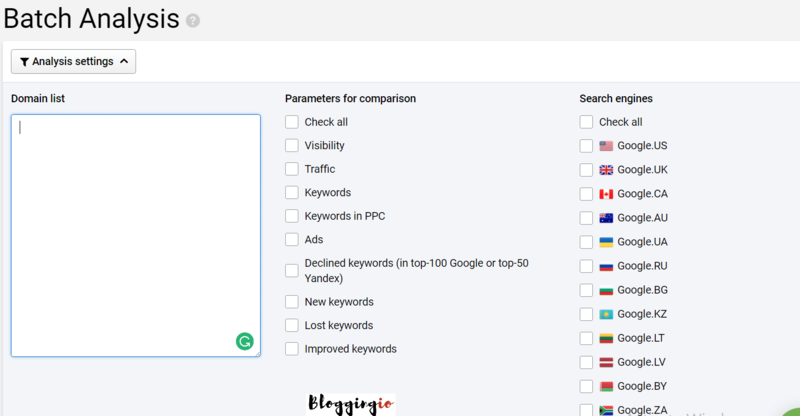 I think spending an $11 is not a big thing for SEO'ers like you and me and I bet you will fall in love with the tool for sure and hope you people enjoyed the Serpstat review 2019 from bloggingio. Great review! I like the international database size comparisons. I’m wondering though how SEMRush and SerpStat compare in their relative US database sizes. Have you looked at that?